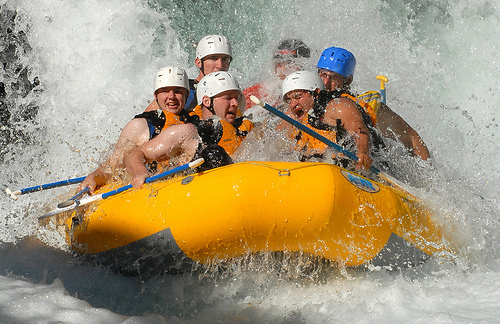 White water rafting is an exciting adventure that is done in a sturdy rubber raft, usually a group with a guide, who travel down fast moving rivers complete with crashing waves, rocks and other obstacles. It’s considered an adventure sport and is found at several levels from beginner to expert. Before you tackle a river, you need to choose the outfitter and river that you want to go on. In the United States, there are a ton of choices, but very few rivers and places that you can truly get a white water experience. There are 6 Classes of white water, and it takes a special guide to take a group of people through the higher levels. Not only putting yourself on the right river, but getting the right guide can make all of the difference between a great trip and a mediocre one. I have been rafting for years, and after moving to Colorado, really took my passion to the next level. If you are an adrenaline junkie yourself, follow my instructions to have the time of your life. If you’re like me, and love to feel the rush of speed, the spray of water, and have that moment of questioning whether you’re going survive the experience; Class 1 rafting is about as far away from that as you can get. These trips are meant more for people to look around, take pictures, and enjoy the scenery. If you get a coupon on Groupon or LivingSocial, these are the sorts of trips that you will take. They are cheap, long, and easy; bring a well-stocked cooler. There are no specific rivers around the west that cater purely to Class 1 rapids. If you can imagine yourself in an inner tube with a beer in hand on the river, you’re looking at Class 1. 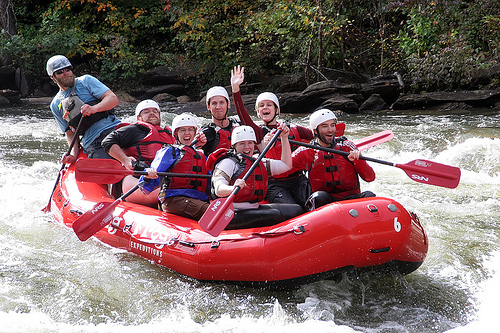 Technically speaking, a Class 2 rapid set is the beginning of what is considered “White Water Rafting.” Honestly speaking, I don’t consider long stretches of calm water interrupted by 6-inch diameter stones rapids. This is traditionally the type of trip that an outfitter would take a family with no experience out on. There are plenty of places to rest between “rapids” and while in the actual obstacles, most of the members of the boat will be sitting enjoying the water. These sorts of rapids can be completely navigated by an intermediately skilled boatman, and I would be willing to bet that a person with no experience could be put alone on a raft in Class 2 rapids and not have any difficulty. Again, the amount of rivers that contain this class are too numerous to list, and if you’re looking for an adventure, this is the wrong class to be in. On the Pete Wise scale, this is the first and beginner class of rapid. Technically speaking, there are numerous criteria for deciding what class a rapid falls into, but I trust the collision model more than anything else. What this means is that you rate a rapid based on the statistical probability that you will hit an obstacle while trying to navigate the rapid. Class 3 rapids are the first category of rapid that you run the chance of hitting or running aground on a rapid. The chance is extremely low, but it does exist. I personally feel that this is the first place that people should start at when getting into rafting. Once you graduate to higher classes you move into the category of calculated crashes much more than trying to perfectly navigate rapids; and becoming accustomed to risking collision is necessary to build the confidence necessary at higher levels. 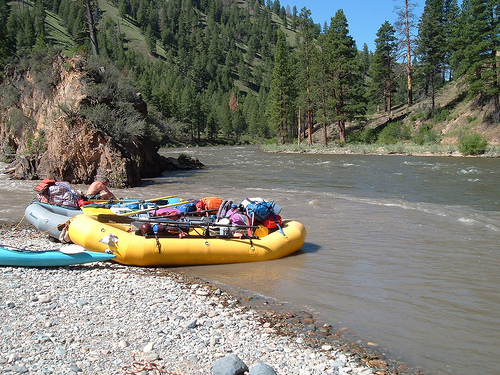 To find class 3 rapids, you need to hit parts of the Colorado River, or any of the tamer rivers in the west. Class 4 rapids are the intermediate level of Pete Wise rapids. 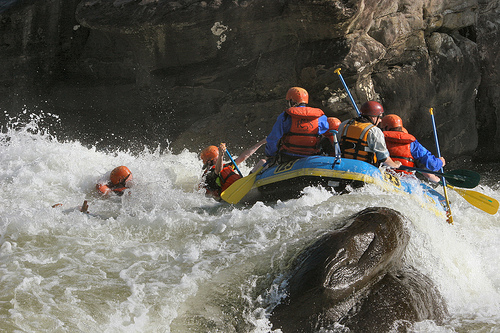 From a collision perspective, this class of rapids is classified as a greater-than-average chance of hitting an obstacle when navigating rapids. Also starting at this level is the need to really interview the guides at your outfitter. With class 4 rapids, you are usually in a part of the river that varies in water level and pressure at different times of the year, and depending on the flow, can turn into a class 5 rapid easily. Even though this is the intermediate level, don’t make the mistake of underestimating these rapids. Class 4 rapids have made me feel like I’m going to fall from the raft, and plenty of my team were dumped by a particularly strong hydraulic. The Numbers section of the Arkansas River and the Royal Gorge are great places to find class 4/5 rapids. Class 5 rapids are no joke, and there’s no other way to categorize them. 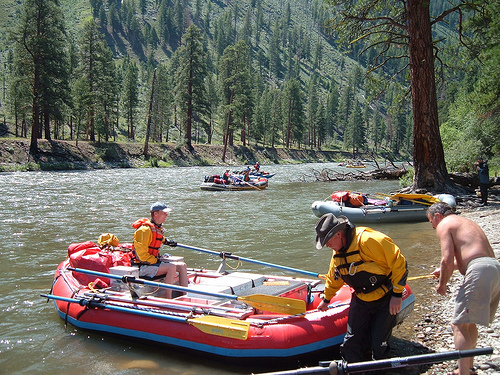 From a collision standpoint, a class 5 rapid will cause multiple collisions on the way down the rapid, and it requires a bunch of strong willed people on the raft with a good guide to get through them. Even the most headstrong adrenaline junkies respect class 5 rapids, because not only are you colliding with serious obstacles, but the amount of water following your raft is impressive. The best way I’ve found to describe the feeling of a Class 5 trip is pure effort. Every muscle burns, your concentration is constantly being taxed, and you know that if you go over, you’ll have multiple atmospheres worth of pressure sweeping you down the river. This is the most fun that you’ll have on a raft short of being a raft guide yourself, and if you choose a class 5 trip, tie your shoes tight, get a good set of glasses you don’t mind losing, and prepare for an exhaustive experience. Class 6 rapids are pretty close to suicidal to attempt without extensive experience in class 5 rapids, both as a passenger and a guide. An iconic class 6 rapid is a fall drop, which is when you literally ride your kayak off the edge of a waterfall. To give you an idea of the forces involved here, the terminal velocity of the average human is 120 miles per hour, and is achieved in just over 3 seconds of free fall. Add about 100 pounds more weight for your kayak and gear, and you’re hitting about 150 mph from a serious fall. Then, when you hit the water, you’ll have thousands of square inches worth of pressure falling directly on your head from the water going over the falls. I have personally never attempted a class 6 rapid, because it really is reserved for the elite. If you consider class 6 rapids, then you’ve got no reason to be reading this article; you could probably ride an avalanche on a piece of plywood, and I’ve got nothing to say to you. 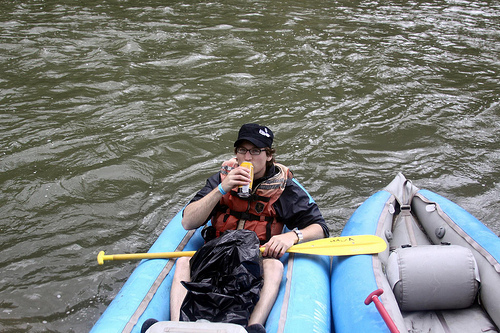 Pete Wise works for Wilderness Aware Rafting doing Inbound Marketing. 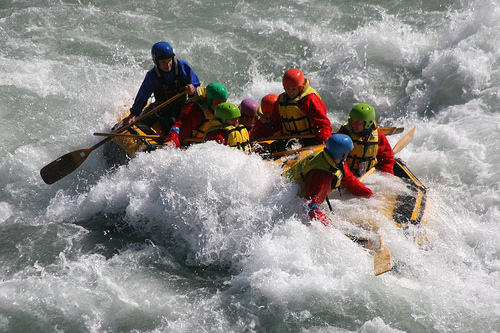 Wildernes Aware is the leader in Colorado White Water Rafting and leads the state in guide experience. This entry was posted in Water Sports, White Water and tagged Rapid Classes, Rapids, white water rafting. Bookmark the permalink.